Chavela is an affectionate profile of the wonderfully outrageous legendary woman who introduced the world to soulful Mexican ranchero music, the likes of which had never been heard before. 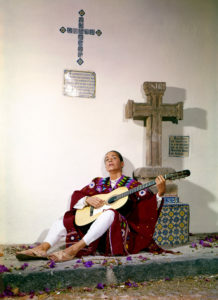 As another singer so aptly said, Chavela Vargas would strip all the happiness out of these songs and make it the music of the wounded soul that represented the tragic end of love. However what really made this wild woman’s tale so compelling was the fact she was just as famous for her appetite for beautiful women and tequila, both of which she consumed in large quantities. Born in Costa Rica in 1919 and abandoned by both her parents, she migrated to Mexico aged just 14 years old to pursue her career as a singer. 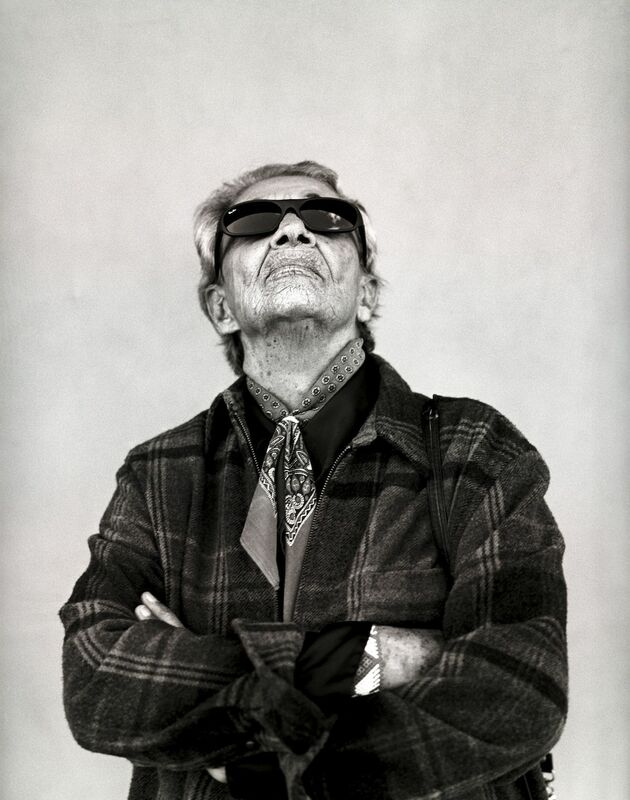 Although she never openly discussed her homosexuality until she came out publicly at the ripe old age of 81, Chavela made no attempt to hide her sexuality. Outraging the public by insisting on dressing like a man, it was because she claimed ‘when I dressed like a woman I just looked like a transvestite’ but it was one of the reasons that her early career was restricted to singing in small cabaret venues. The fact that she drank so heavily which made her unreliable didn’t help either, but to her loyal band of fans in society’s underground, Chavela was a real star. A strikingly handsome women she never had trouble seducing pretty women to feed her insatiable appetite, and even made a point of focusing on bored wives of successful businessmen and politicians. She was at one time in fact the lover of Frida Khalo. In fact no-one was out of her reach and in the movie she recounts how in her heyday as a guest at Elizabeth Taylor’s wedding to Mike Todd she ended up in bed with Ava Gardener : a totally unsubstantiated story, but at this point in her story, it seemed completely believable. It was however her obsession to party so hard with the male musicians that she travelled with and wanted to prove she could not only drink more than them, but was stronger and even more macho than them, that was her downfall. It led to a long period – 15 years – when unable to get any work she led a poverty-stricken life in a squalid one room apartment in a small village relying on neighbors to feed her, whilst whatever little money she could lay her hands on went on drink. During this period she met her long time lover Alicia Elena Pérez who takes a lot of the credit for finally getting to stop drinking, but it is the filmmaker Pedro Almodovar who is responsible for rescuing Chavela’s career and launching her in big venues like the Olympia in Paris that propelled her into being a superstar. Almodovar tells how once he discovered Chavela and invited her to Spain to perform, he not only was he enthralled with her performances that incorporated her highly-emotional music in to his movies, but he became her personal champion. This engrossing documentary by Catherine Gund, and Daresha Kyi has a wealth of archival footage, including a very revealing interview with Chavela recorded in 1992. It was however the liberal use of clips of her performing through various parts of her life and career that really captured the true essence of why this legendary singer was so adored. They are all racked with such extreme emotions which were even jacked up a notch or two as she got frailer towards the end of her life. Almodovar says that Chavela lived in a continuous sense of farewell and that is why she insisted on keeping on performing even when she was confined to a wheelchair, insisting that nothing would make her happier than to die on stage singing . ‘What a blessing from the cosmos to be born a woman‘ Chavela once said. And what a woman she was, totally non-conforming, and such a radiant star that so deserves this profile which will introduce her music to another generation to fall in love with.